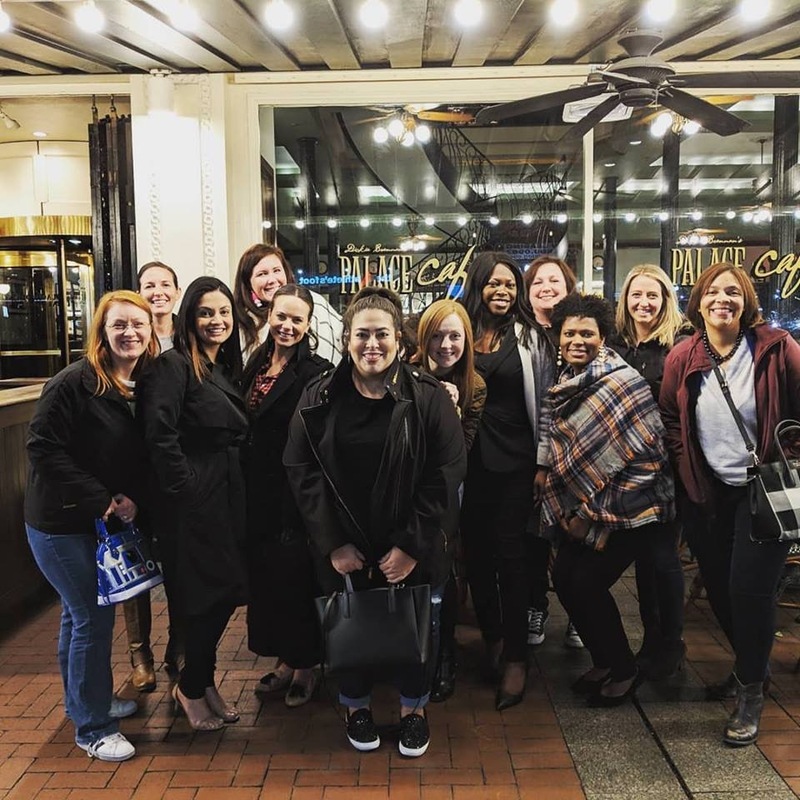 We were honored to represent the Junior League of Seattle (JLS) at the annual AJLI Winter Leadership Conference, held this year in New Orleans, Louisiana. Pictured (Left to Right): Anisa Ishida, President-Elect; Martha Abatecola, Executive Vice President; Kimberly French, President-Elect Nominee; and Ashley Woller, Executive Vice President-Elect. One of many conferences and training opportunities presented by AJLI throughout the year, the Winter Leadership Conference takes place every January. It is held in a different city each year and is hosted by the local Junior League. The focus is on training and preparing future Presidents and Executive Vice Presidents for their upcoming roles. President-Elect, President-Elect Nominees, Executive Vice President Nominees are invited to come together to network, brainstorm, share ideas, and work together in preparation for their roles as League leaders. This year’s conference was jam-packed with two-and-a-half days of training and leadership development sessions where we explored best practices in leadership, governance, management, membership, and diversity and inclusion. You can expect to see many of the tools we were given in action at both the Board of Directors and Management Council levels. In the evenings and during breaks we deepened our long-time close friendships with Leagues in Philadelphia, Los Angeles, Phoenix, Boston, Minneapolis, Richmond, and more, engaging in deeper conversations about specific strategic or operational needs, challenges, and opportunities. We shared tools, insights, and ideas to help us plan for the 2019-20 League year and beyond. President-Elect Anisa Ishida (fifth from right) with representatives of our friend Junior Leagues from across the nation! Our fund development efforts enable JLS to send delegates to conferences such as this, enhancing our mission of training civic and community leaders. On behalf of all of us who attended we thank you, our fellow members of JLS, for this exciting and energizing opportunity. 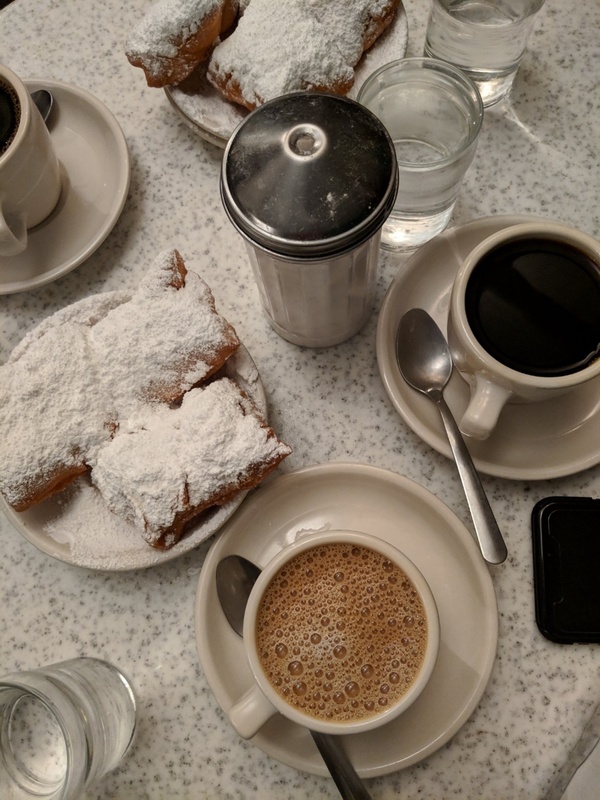 Of course, we enjoyed beignets at the world-famous Café Du Monde.